As a language enthusiast and a frequent world traveler, I’ve experienced a lot of jet lag. The first time I flew from Los Angeles to Moscow Russia, it was an 11 hour day for night swap. When I got there, I had such a bad case of jet lag that I felt miserable for a week. Jet lag can definitely take the fun out of travel. Take melatonin for jet lag. I take it just before I go to bed. Today I take melatonin for jet lag and I adjust my body’s other chemicals as I have described below. My jet lag recovery is fast and painless. Melatonin is your body’s primary sleepiness hormone. The amount of melatonin in your blood stream varies with the time of day. 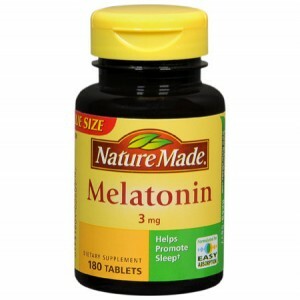 Melatonin is supposed to peak in the evening just before your bedtime and then gradually taper off toward morning. It’s the main hormone that makes you feel sleepy. On the other hand, cortisol is the main hormone that helps you wake up feeling rested and refreshed. It is supposed to begin to rise before your usual waking up time and peak about an hour after you wake up. I say that Melatonin is supposed to peak before bedtime and cortisol is supposed to peak shortly after you get up in the morning because there are a huge number of things like shift work and jet airline travel that can make these hormones peak at the wrong times of the day. Your job as a traveler who wants to avoid jet lag is to re-set your circulating levels of melatonin and cortisol to match the time zone you are trying to get adjusted to. Here’s how I do that. If I am taking a night flight, I make sure to bring my own eye mask, ear plugs, pillow and of course Melatonin. I always make sure to have everything within reach in my pockets or my carry on luggage. I take either 3 or 6 mg. of Melatonin when things start to settle down for the night in the airliner. Make your cortisol curve look like this and you will get over jet lag quickly. I take 6 mg. of melatonin for jet lag if I am particularly excited and need to calm down, while 3 mg. is usually enough if I am feeling mellow and relaxed. You have to experiment and find the dose that is right for you. I don’t swallow the tablets. I just put them in my mouth under my tongue and let them dissolve. My intent is to get the melatonin to absorb directly into my bloodstream from my mouth rather than making it wait until it gets through my stomach and into my small intestine to absorb. If you swallow a pill you really can’t be sure when it will be absorbed. It might spend 30 minutes to three hours in your stomach. Almost nothing is absorbed from your stomach, if a medicine doesn’t get absorbed from your mouth, most of it has to wait until it gets to your small intestine before it will be absorbed. I just take ordinary melatonin tablets however you can also buy special sublingual (under your tongue) melatonin tablets which would probably taste better. I try to sleep as much as I can on the airplane. When I arrive at my destination I continue to take melatonin under my tongue just before bedtime for as many days as I seem to need it. I gradually reduce my dose from two tablets, to 1.5 tablets and so on until I don’t feel that I need it any more. If I am doing a complete twelve hour day for night swap, it can take me seven to twelve days to really feel good on the new local time. However my jet lag remedies make the adjustment a non painful one. In the United States, melatonin is available very economically without a prescription as a food supplement. In addition to taking melatonin at bedtime, it makes sense to try to have an hour or so of relaxed quiet time with low lights before bed at your new destination. Obviously this is not always possible. On the first morning when you get out of bed at your destination, your body will probably feel like it is being badly abused by being forced to get up in the middle of the night. What I do is to get up anyway, and then stumble around half asleep until I find the biggest blackest cup of coffee that I can find. After I drink the coffee, I exercise vigorously by walking very fast for 15 to 30 minutes to stimulate my cortisol production. It’s important to point out that I never ever drink coffee except for getting over jet lag. If you are a regular coffee drinker, you might try doubling the amount of coffee you drink. But never drink coffee after 9:00 a.m. because you don’t want to stimulate your cortisol level to a high level later in the day. Coffee wakes us up because it’s an insecticide that humans have learned to drink. If you don’t believe that coffee is an insecticide, just notice that Starbucks gives away used coffee grounds for people to use to kill bugs in their gardens. Drinking coffee stresses your adrenal glands to release cortisol and you will wake up. I don’t recommend it for long term use, but it’s a great tool a few times per year to get over jet lag. Intense exercise can also stimulate your cortisol production just fine without the coffee, but I find that at least one big cup of coffee helps a LOT on the first day. Remember to not drink any coffee after 9:00 a.m. at your destination. Exercise and Coffee are not the only ways to stimulate your body’s adrenal glands to make more cortisol. Food is also a great way to stimulate your adrenal’s to produce more cortisol. I suggest eating a large breakfast like bacon and eggs with no orange juice, fruit or pastries. Then have a low carbohydrate snack like meat at 10:00 a.m.. Eat an early lunch and and another snack at 2:00 p.m. and an early dinner at 5:00 p.m. When you make breakfast your largest meal and your evening meal your smallest meal, you are helping your body secrete cortisol at the right times of day to help you overcome the effects of jet leg. What you are trying to do with all this carefully timed eating exercise and coffee, is to re-establish a healthy cortisol curve that matches what the sun is doing outside your new window. If food isn’t enough to keep you awake during the day, do some brisk exercise like fast walking or jogging to stimulate your cortisol and wake up again. American’s love to buy pills to solve problems. Why exercise and eat carefully to achieve a healthy hormone curve if you can simply buy a pill. Cortisol is available in tablets, however they require a prescription in the United States. 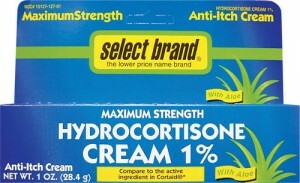 The chemical name for cortisol when purchased as a drug is hydrocortisone. Unfortunately natural bio-identical cortisol has gotten a bad reputation among doctors mostly because it has some very bad side effects when used at doses higher than your body generates normally. Doctors seem to have forgotten that it is a 100% normal hormone and if you don’t take it at levels that exceed what the body produces normally, it cannot produce evil side effects. It’s also extremely important that you only take it for a few days, because taking supplemental cortisol will suppress your body’s production. Before my next international trip I plan to get a prescription filled for 5 mg. tablets of hydrocortisone. I plan to tatke 5 mg. with a snack immediately upon awakening and then 2.5 mg. at lunch. I expect that finding the perfect dose for me will require some experimentation. Remember to reduce your dose gradually just like with melatonin. You will probably have a lot easier time getting your prescription from your doctor for cortisol if you buy a copy of Safe Uses of Cortisol by William McK. Jeffries and take it with you when you see your doctor. If you do decide to take this as a prescription drug, make sure your doctor prescribes bio-identical cortisol, not some patented variation, that will have strange side effects. Bio-identical cortisol has been on the market a long time and it is very economical. 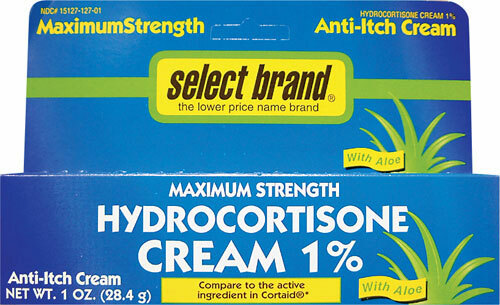 Cortisol is also available without a prescription in the United States as a 1% concentration oily cream, that is sold to help with the inflammation caused by mosquito bites and scratches. Using this over the counter cream can also help you say no to jet lag. I have experimented with smearing a large patch of this cream on my abdomen for a couple of hours in the morning. I found that it gave me an increase in alertness similar to a cup of coffee. After a couple of hours, I washed it off carefully with soap and water. This may or may not be practical depending on whether your schedule allows you to sit around with an oily patch of medicine on your body for a couple of hours in the morning. I’ve also tried to apply it to the inside of my elbows and to the front side of my legs. My abdomen seemed to work the best. Of course if you are flying to some remote tropical resort everyone there will think it’s just some new kind of sunscreen! If you’ve ever had trouble getting out of bed in the morning, with or without jet lag, you should read Adrenal Fatigue by James L. Wilson. He doesn’t specifically talk about Jet Lag, but there is huge amount of information on how to get your adrenal glands to produce enough the hormones you need at the right times of the day. When you know how to solve that problem, you will also know the perfect remedy for jet lag! If your adrenal glands aren’t currently healthy, you won’t be able to get them healthy until you get your blood sugar under control. If you’ve eaten fruit, bread, rice or grains of any type in the last week you probably have a blood sugar problem and your adrenal glands won’t be as healthy as they should be. Read Dr. Bernstein’s Diabetes Solution by Richard Bernstein for the solution. Highly recommended. If you decide to supplement with prescription or over the counter hydrocortisone, you probably should read, Safe Uses of Cortisol by William McK. Jefferies. If you are a traveler and have experience with jet lag remedies, please leave your words of wisdom below. 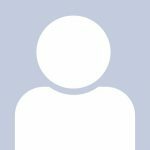 If you would like to re-publish this article on your web site it’s okay to do that if you comply with our reprint permission policy. Loved your critiques of the various commercial language programs. Helpful info about Melatonin and Cortisol. Especially amazed to see mention of Dr. Bernstein’s Diabetes Solution…he was far ahead of his time. My boyfriend has controlled his Type 2 diabetes (used to be on oral meds) totally by a low carb diet(and this was before reading Bernstein’s book) and his Hemoglobin A1C is far better than ‘normal’ non-diabetic people’s. Thanks for such a comprehensive travel-language-health site. Much appreciated. Thanks for your kind words. Dr. Bernstein was and still IS ahead of his time. I talked to him briefly on the phone a couple of months ago and he was healthy as a horse and still practicing medicine. I need to write another article on sleepiness and blood sugar. I’m not diabetic, but I find that I get very sleepy with blood sugar readings above 95 mg/dl and below 75 mg/d. High blood sugar sleepy does not feel the same as low blood sugar sleepy. Both of them will totally destroy the value of a language study session because you can’t learn very well when you are sleepy. I don’t plan any multi-time zone travels but I wish I had known about the Melatonin before. It was a good article. Thanks. Hi. Just read the jet lag article. I’ve got a few problems with the theory and practice presented. 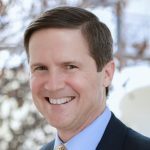 For background, I’m an MD, and travel around 200,000 miles a year across lots of time zones. I’ve spent an enormous amount of time reading the scientific literature about circadian rhythms and dysrhythmias, including jet lag. The curve of cortisol secretion is a MARKER of circadian rhythms, and not (at all!) the generator of the rhythms themselves. Manipulating cortisol levels will have no effect on subjective (or objective for that matter) indicators of jet lag. Once one has adjusted to the new time zone, the cortisol secretion curve will normalise; exogenous normalisation of cortisol levels will have no effect on rhythms. The subjective effects of exogenous cortisol may make one FEEL better, but will not alter adjustment to a new time zone. Importantly, I think it’s rather irresponsible to suggest ANY form of self treatment with cortisol, especially based only on a book that has not at all been subjected to scientific peer review. For example, under normal conditions, the daily secretion of cortisol is about 20 mg. The 7.5 mg you are planning to take will, if anything, SLOW your endogenous secretion by inhibiting ACTH secretion by your pituitary. I think your idea of using melatonin sublingually is a VERY good idea for this use. Indeed, melatonin is one of the 3 or 4 confirmed “zeitgebers” (literally “time givers”, the word used for substances and techniques that actually reset the circadian clock). For this to happen (as opposed to it being simply a mild sleeping pill), the blood levels of melatonin have to rise abruptly, rather than, say, a slow time-release curve. The MOST important zeitgeber is light, specifically BLUE light. Relatively inexpensive LED-based tools are available for this purpose, and hints as to the timing of light exposure can be found in reliable, validated articles. The roles of exercise and diet are very controversial in terms of manipulating the day-night cycle. Because your article provides advise and recommendations for a health-related problem, I suggest that each time you mention a fact, you should provide a reference, to allow the reader to assess the quality of the data leading to your conclusion. You might also consider providing links to a certain number of links to validated, scientifically accurate (sorry I can’t say that that’s the case with your regimen) articles that are readable and understandable by non-experts. Keep up the great work with Language 101! Wow! Thanks for the professional medical advice! It’s great to hear how some ‘factual’ data can actually be somewhat misleading or even incorrect. As a graduate and professor of science at UIC Brent takes great care to check his data and provide accurate references. Since science has a way of changing from time to time the suggestion to read ‘Safe Uses of Cortisol’ (among other excellent reads) and to also check in with a personal medical doctor before use. As such it seems as if the precautionary aspects are all taken care of. Please also note that Brent is suggesting only that this is what has worked for him. Each of us are very different even through our seemingly similar physiologies may make it appear as if we can all get away having the same diet or response to medications. Feel free to respond with any references you think are pertinent to the information now posted in the article and comments below. It would be great to have more information on those blue LED lights. After years of international travel I have found a method that works best for me. No medications or pills. The best approach is mainly mental. Set your watch to local time. That is where you are in the day. Live accordingly. I may be dead tired by bedtime, but come the next morning I always feel normal. It’s great to know how you are and what you can expect from yourself! For many people your technique works well (like me). For others they find different results where these suggestions are very safe and suitable. It’s good to know there are other’s out there that can adjust quickly to a new sleep/awake schedule. I usually find beginning the shift the night before my flight helps by moving the schedule more slowly over a few days rather than quickly in one jump. I’ve had good success with homeopathic jet lag support — it’s call “No Jet Lag” and can be found in most health food stores as well as online. I like hearing about your use of other hormone-affecting remedies though. I struggle with adrenal fatigue and disrupted cortisol (high at night, low in the morning), and have become, as a result, pretty sugar-addicted. Never had a sweet tooth until the hormonal problems started. So thank you and I think I’ll try the cream and the melatonin. Thanks for the tip on No Jet Lag. I’ve seen it in my health food stores also! Wow, thank you so much Thomas – I’m definitely going to try the Sole! I’m also at the point in my life (nearing 50 and with a lot of body pain from old injuries) that I just can’t handle flying coach long distance – I always end up with a migraine and exhaustion that lasts several days. But with the extra room afforded in the higher priced airline seats, I can travel one day and be right back into my life the next. So I’ve become an award-miles-maven, managing to upgrade or purchase business-class tickets for all my overseas travel (still find using miles to purchase domestic a bit hard to justify…) — even managed a couple of first class trips at super saver rates when business class was full (cheaper than full-rate business, amazingly). I have to say though, I find first class a bit gosh — I find myself feeling guilty with ALL that space, and wishing they’d take some from there and ease the cramping in coach — guess I’m a flying “socialist”..! Thank you much and look forward to exploring this site more and maybe even try my mind at a new language, at long last!